Open your eyes to the wise and gentle presence of a bright new power that already lives within you... enter its timeless kingdom where fear, doubt, and despair cannot tread. 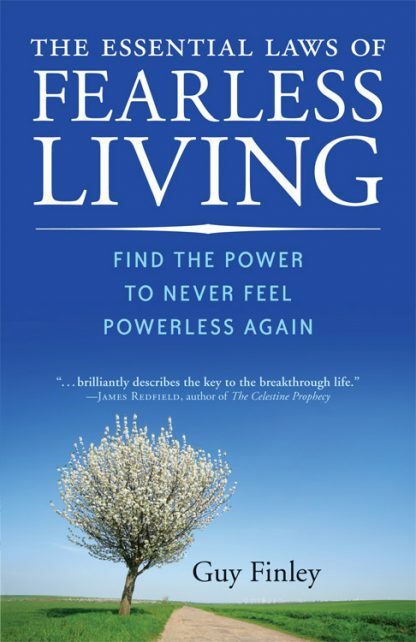 The Essential Laws of Fearless Living is a step-by-step manual for all who aspire to realize their ultimate potential as a human being. In its seven chapters of forty concise essays, Finley explores deeply personal and meaningful ideas, revealing the secrets of the universe itself; but he does so in a way that makes the journey fascinating, compelling, and comforting at the same time. A great hope fills the heart that the untold mystery of human existence has not only been revealed, but solved. Then, most importantly, at the close of each chapter readers are given specific insights and practical exercises that empower them to make real and lasting changes in their lives. Loneliness, stress, anger, and fear are replaced by a contentment, ease, compassion, and freedom that never fade away.